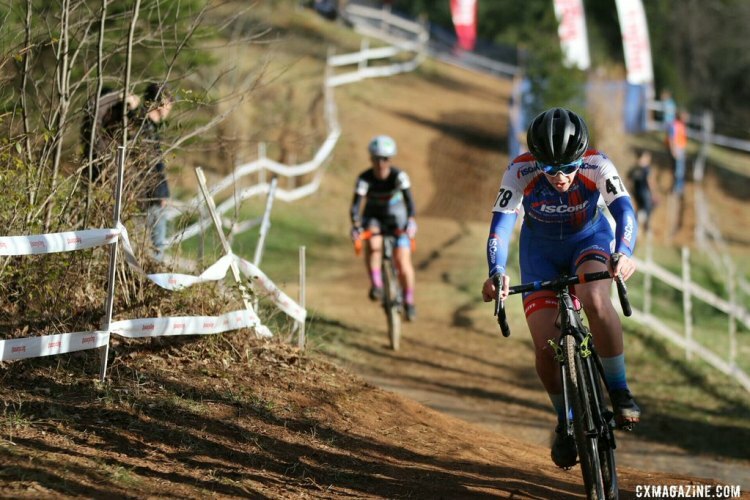 ASHEVILLE, N.C.—A little bit of sun and a cool breeze helped dry out the course, which just that morning had been greasy with mud. Meghan Korol (Team Handmade) blasted out of the starting grid to take the holeshot but Mertz responded quickly, working her way to the front. Emily Kachorek (Squid Bikes) also found her way up among the leaders, along with Melinda McCutcheon (Canyon Bicycles-Shimano) who won her first National Championships just yesterday in the Master Women’s 30-34 race, and was able to overcome a fifth row call up in the singlespeed field to get to the front of affairs. At the first pass of the off camber stretch leading to the bike barn and Ingles Heckle Hill, Kachorek slipped and went off the bike but was able to keep the lead group in her sights and recover. Halfway through the second lap, Cutler found herself on the ground after taking a corner leading into a drop with slightly too much speed. She was able to recover quickly and renew her pursuit of Mertz but the resulting gap ultimately proved too difficult to overcome. The reigning Masters 30-34 National Campion McCutcheon worked hard to gain ground on Mertz and Cutler. An unfortunate bobble allowed the leaders to gap McCutcheon while Kachorek drew even closer. Kachorek briefly led McCutcheon but McCutcheon was able to pass and gap Kachorek shortly after. 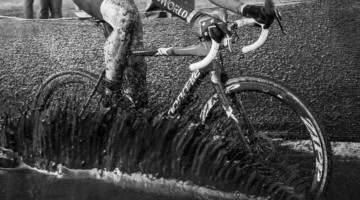 Rider Catherine Moore (Trek Cyclocross Collective) suffered a crash just before the steep descent following Heckler Hill. 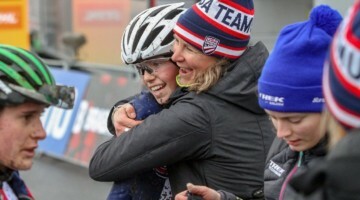 Moore, who finished second in the Masters Women 45-49 event yesterday, took a hard hit and suffered a shoulder injury that forced her to drop out of the remainder of the race. 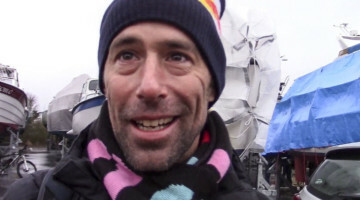 Campbell Steers (Rock Lobster), a category three rider out of California, shocked the crowd by moving from a second-to-last call up into contention for the podium. 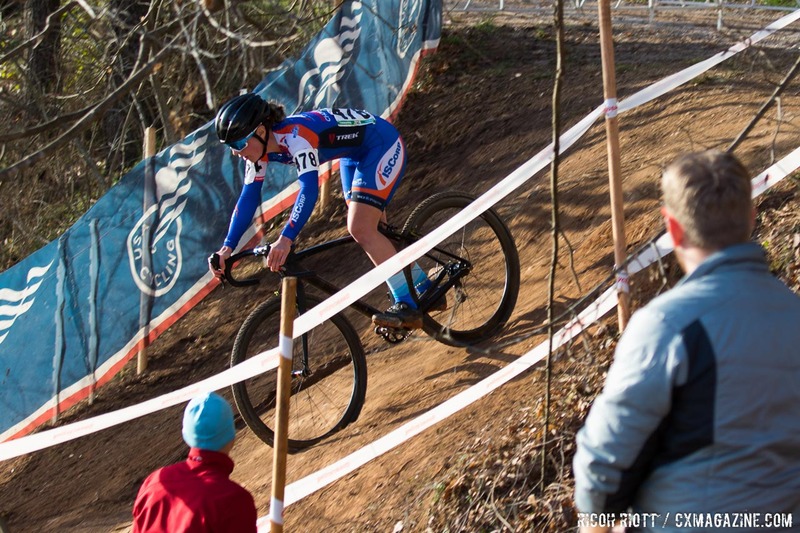 A mistaken pause before the final lap bumped her overall standing down, but the rider was still able to take seventh behind Ellen Sherrill (Voler/HRS/Clif Bar/Rock Lobster Cyclocross) who finished third in the event in 2015. Despite Cutler’s best efforts, Mertz continued to pull away and widen the gap between the two riders. With one lap to go, Mertz’s lead had increased to 19 seconds and by the time the two riders crossed the finish line, Mertz was over thirty seconds ahead. McCutcheon was able to pull close to Cutler but was bested at the line by a mere three seconds. Kachorek finished in fourth 32 seconds behind McCutcheon while fifth place finisher Jennifer Nowlin (Power Fix CX) finished nearly two minutes after. 1 Nicole MERTZ ISCorp Cycling p/b SmartChoice 44:42. 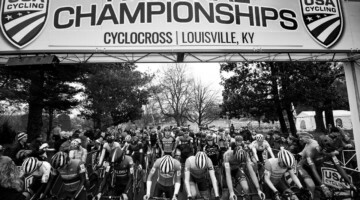 2 Jessica CUTLER Jamis Pro Cyclocross 45:14. 3 Melinda MCCUTCHEON Canyon Bicycles-Shimano 45:17. 5 Jennifer NOWLIN Power Fix CX 47:52. 8 Rebecca BLATT Van Dessel Factory Team 48:36. 10 Margell ABEL Evol Elite Racing 49:56. 11 Nicole DUKE SRAM 50:10. 12 Katrina DOWIDCHUK Colavita Midatlantic Womens Te 50:15. 13 Heidi WOOD 333fab CX Factory Team 50:17. 14 Kristal BONI Rapid Racing 50:52. 15 Allyson TUFANO Patapsco Bicycles 50:53. 19 Paula BURKS Peachtree Bikes 51:03. 20 Jennifer MAXWELL Colavita Midatlantic Womens Te 51:08. 21 Julie BAIRD Olympia Cycling Team 51:14. 22 Ali KNUTSON SaltAir Cross Fever 52:19. 23 Desiree WHITE OKCVC Bike Lab 52:54. 24 Amanda SCHAPER Giro Sport Design 53:39. 25 Tracy JONES MARTIN Bayou City Racing 54:00. 26 Deirdre GARVEY Boulder Cycle Sport/ YogaGlo 44:12. 27 Dorothy WONG The TEAM SoCalCross 45:03. 28 Lupine CRAMER Roosters Bikers Edge 45:20. 29 Evie EDWARDS SpokesWomen Syndicate Inc. 45:55. 32 Marni HARKER Colavita Midatlantic Womens Te 47:29. 33 Jenna LATOURNICHOLS Rutgers University-New Brunswic 36:03. 34 Shauna SWEET Crosshairs Cycling 36:46. 35 Rhea ALDRIDGE Rouler Racing 38:04. 36 Vicky PABON Sugar Cycles/Wholesome Sweetene 39:02. 37 Rebecca BUBP Vogelzang Velo Club 43:58. Nice win Nicole! MN represent.